SUPPLY POINTe™ is at the heart of the country’s $700.4 billion transportation industry, helping freight-forwarding, trucking, and pallet companies run everyday operations. Many of these companies need to move equipment, raw materials, and finished goods, but they often don’t have in-house supply chain transport capabilities. This is where SUPPLY POINTe™ comes in — we’re in charge of moving important freight efficiently. Our solutions include providing triple- to five-wall corrugated Gaylord pallet boxes and intermediate bulk containers (IBC) like totes and drums. Our clients also leave the logistics management, handling of long bundles, import and export transportation services, documentation, and more, to us. For many years, we have provided economical logistics solutions that keep companies — and America — moving. Now, we invite aspiring entrepreneurs to share this mission through our logistics, shipping, and transportation franchise programs. 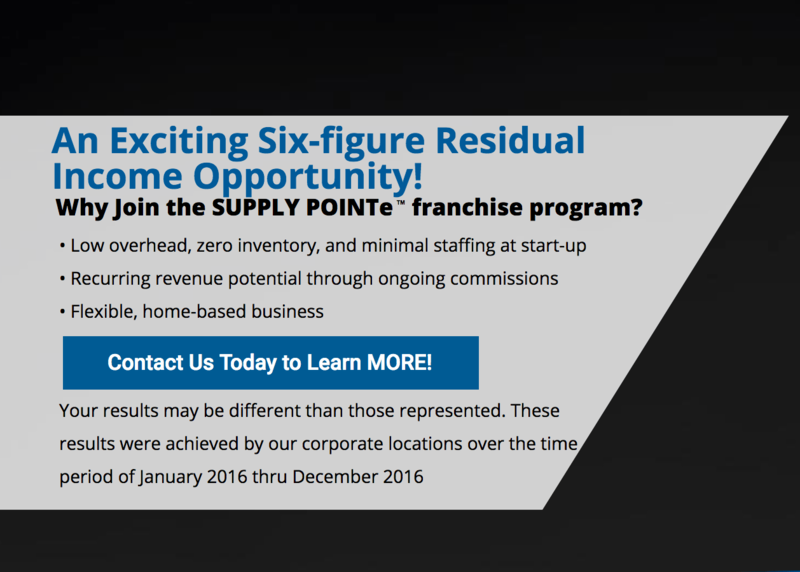 Watch the video below to learn what SUPPLY POINTe™’s franchise opportunity can do for you. The logistics industry is at the heart of the country’s economy. From ocean and air freight to ground shipping, American businesses need a transportation and shipping company to get items where they need them to be, after all. SUPPLY POINTe™ offers an opportunity to enter this lucrative industry. Experts project that manufacturing, transportation, and warehousing would continue to grow. Invest in logistics, transportation, shipping, and packaging franchises, and you’ll grow with them. You also take advantage of a broad customer base and a high residual income potential. Our franchise opportunity involves a low investment and zero inventory. On top of that, you can run your business at home. Make time for your family and hobbies while running a business that keeps America moving. To learn more about our franchise programs, watch the video below and check our franchise page. Run your business right from the comfort of your home. Interested in starting a home-based business? Take advantage of the growing market and pool of customers for a huge income potential. Grow your franchise with help from our ongoing support via phone, e-mail, or in person.